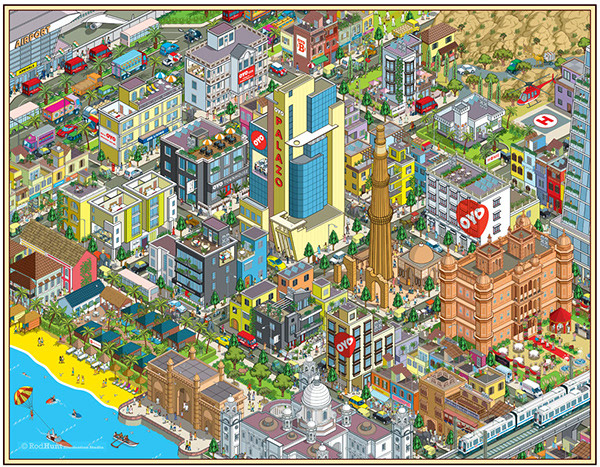 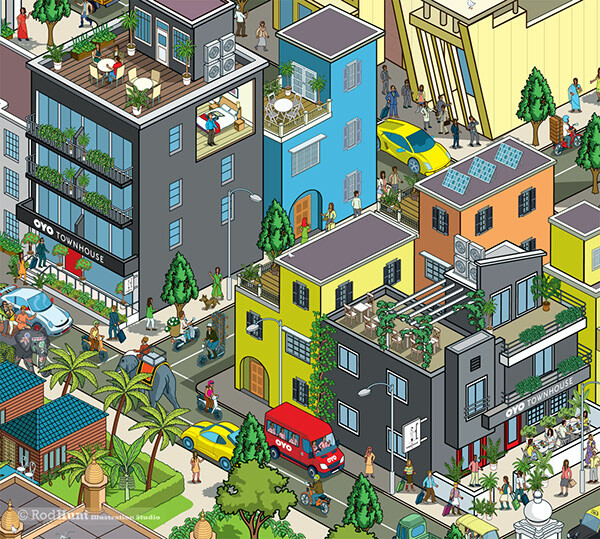 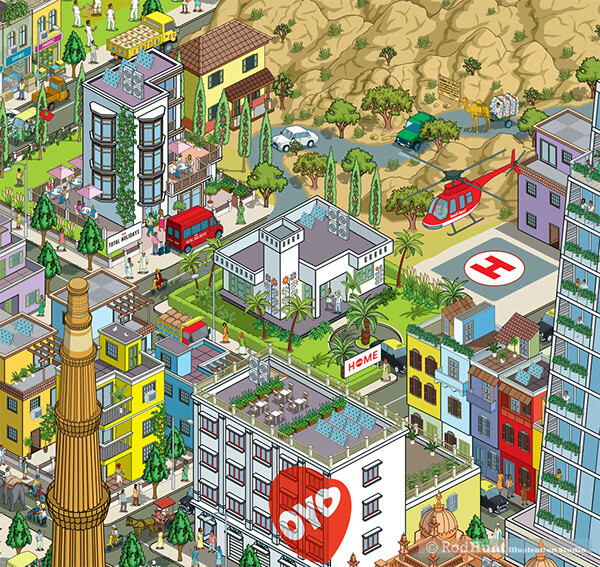 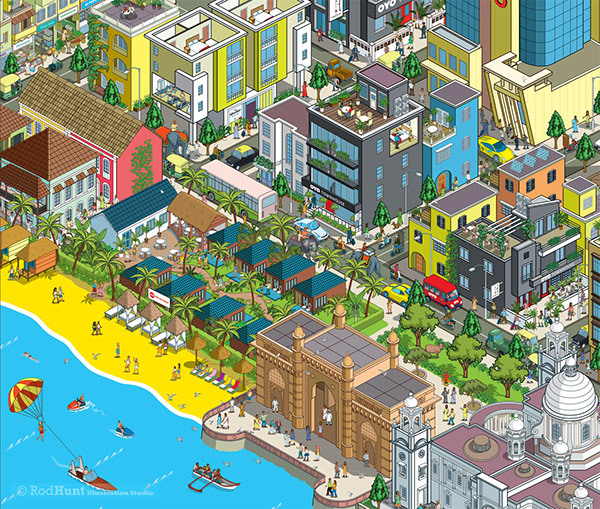 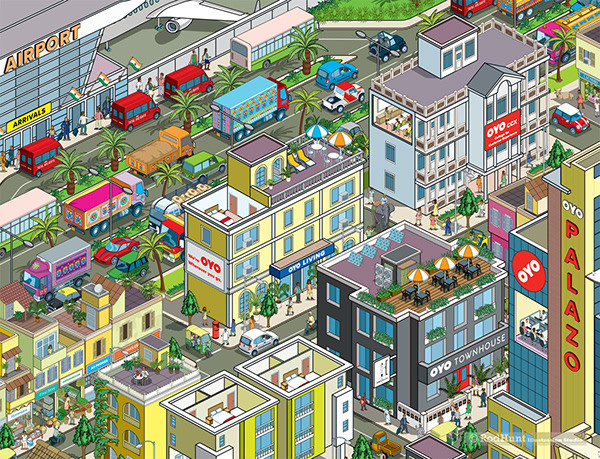 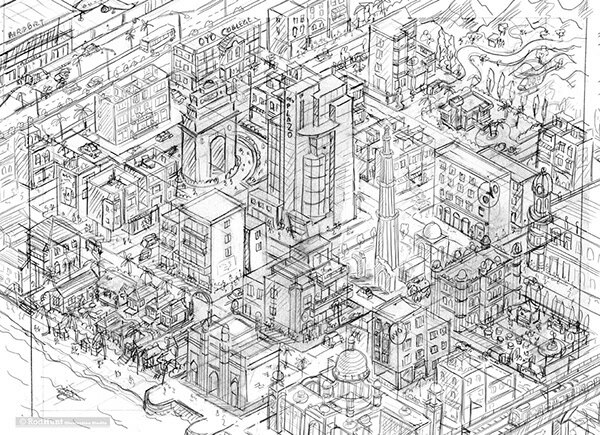 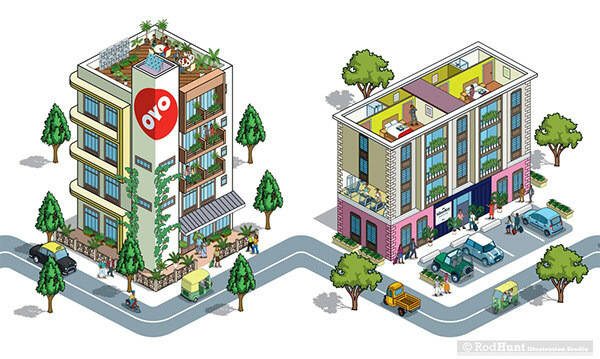 Rod Hunt was commissioned to create three illustrations to tell the story of OYO, showcasing the company, it's services and bringing alive their history. 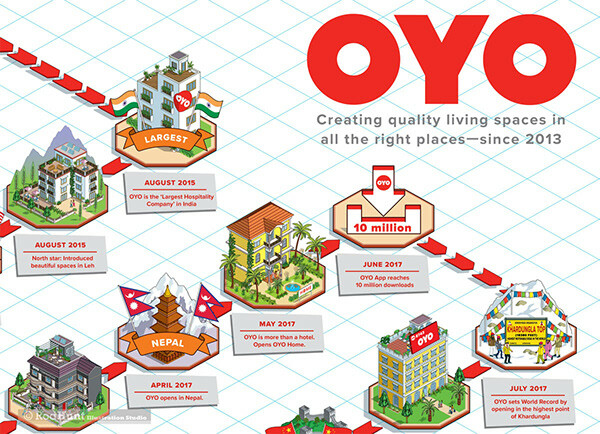 Launched in 2013, OYO is India’s largest hospitality company. 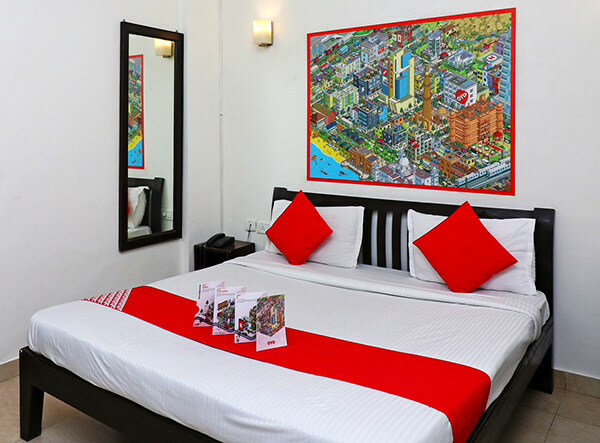 Its network currently spans over 200 Indian cities including all major metros, regional commercial hubs, leisure destinations, and key pilgrimage towns. 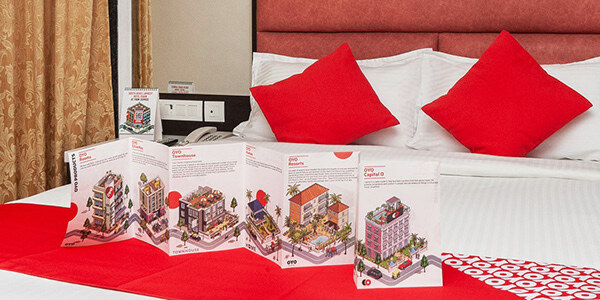 It also has an international presence with hotels in Malaysia, Nepal and the UK. 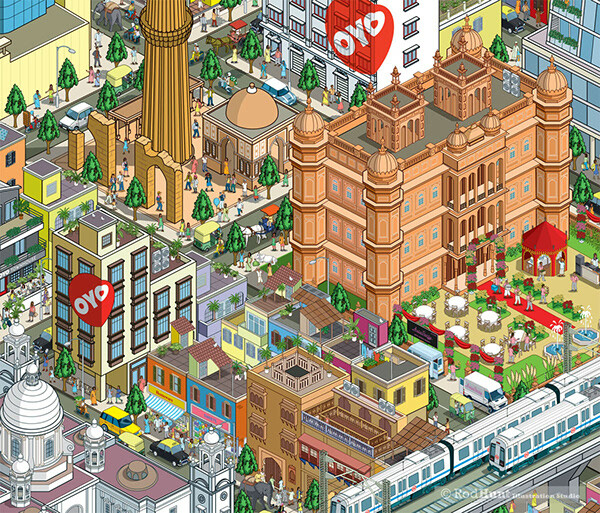 OYO City: OYO wanted to tell their story though a stunning piece of pop art that brought alive the spirit and products/services of OYO. 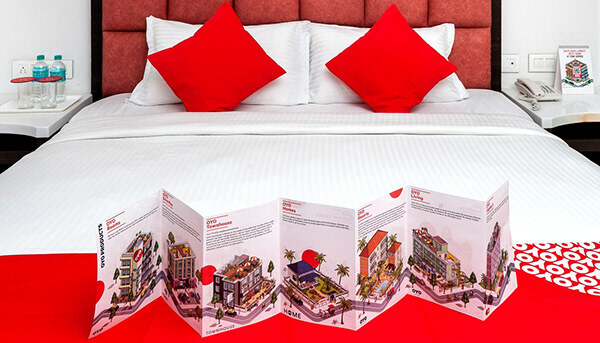 The final piece was installed as a large artwork in OYO Hotel rooms. 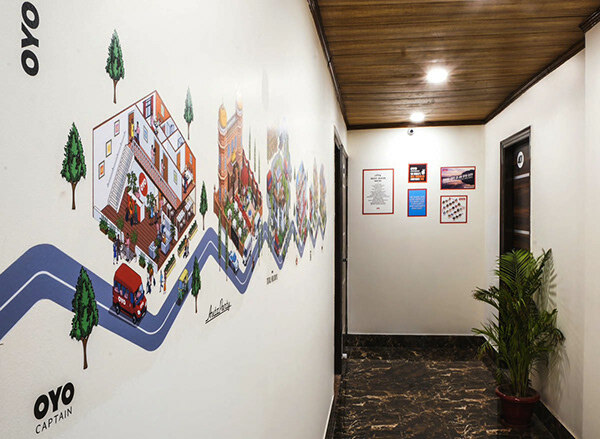 OYO User Friendly Book and Mural: An attention grabbing book and mural for OYO's guests showing OYO's portfolio of products and services. 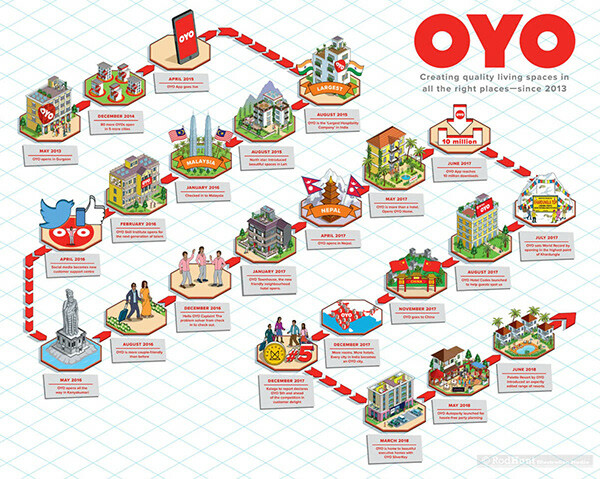 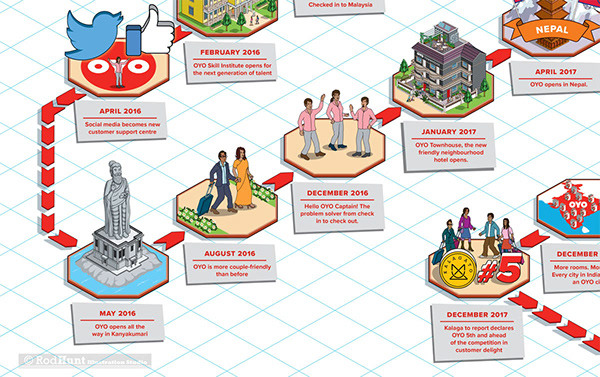 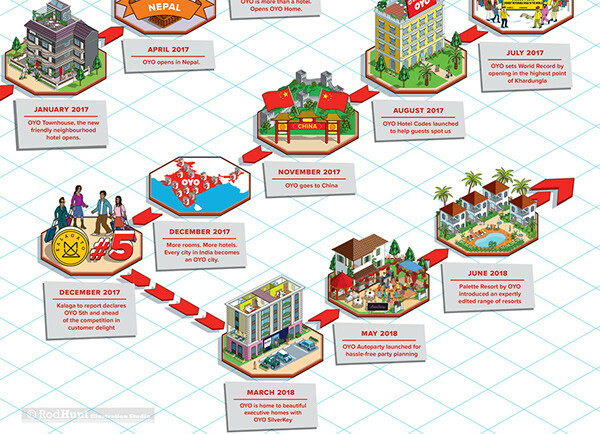 OYO Timeline: An engaging way to show the history and significant milestones of this fast growing young company. 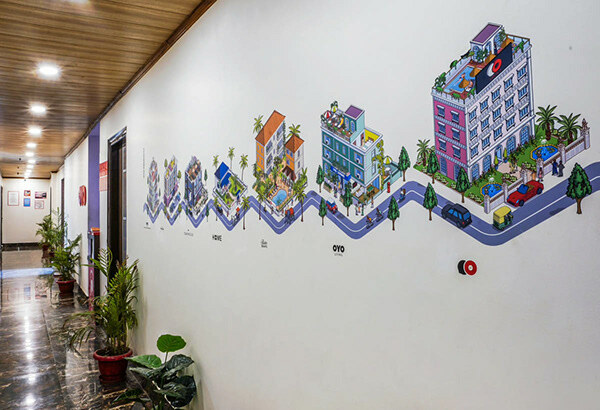 The final piece was installed as a large artwork in OYO Hotel receptions.